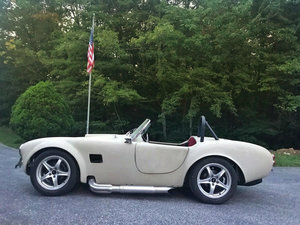 1966 Shelby AC Cobra Custom This is a custom ONE OFF AC Cobra. The body is cast replica of the original AC Shelby cobra. It is loaded with over 70k in parts. No expense was spared in this 6 year build. 5 point link rear suspension with coil over adjustable shocks and heavy duty sway bars front and rear. Rack and pinion power steering. McLeod Hydraulic clutch and matched pressure plate. Hurst 4 speed. Ford 9\' rear end with 32 spline heavy duty racing axles. 4 wheel disk brakes. Separate front and rear Wilwood master brake cylinders. Engine was built by Fowler\'s Engines and is rated at 390hp plus. Custom paint with painted stripes and 5 layers of clear coat. Carroll Shelby personally signed the glove box door. have an authenticity certificate dated July 5, 2011. Hand made custom interior. Have all the paper work for parts.